James “Jimmy” R. Stewart- Age 89, May 26, 2018. Preceded in death by his sister, Robbie Mae Copeland. He is survived by his wife of 40 years, Martha L. Stewart; son, Rick R. Zehntner (Kathy); granddaughter, Claire Nicole Zehntner; grandson, Carson Lane Zehntner; nephews, Robert P. Copeland (Brenda), James T. Copeland (Gwendlyn) and John Copeland (Trudy); niece, Brenda Jane Strantz (Jeff). He served in the US Army in 1948-1949 in Japan. He was drafted back in January, 1954- January, 1955 in Greenland. He was a business man and owner of Stewarts Dutch Made Laundry in West Nashville for 30 years. He was devoted to his family and loved them very much. A visitation will be from 10-11 a.m. on Thursday, May 31, 2018 at Harpeth Hills Funeral Home. 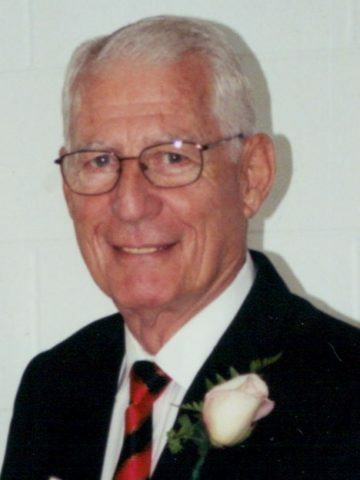 A Celebration of Life Service will be at 11 a.m. on Thursday at Harpeth Hills Funeral Home. Interment will follow at 3 p.m. at Mt. Moriah Cemetery in Reagan, TN. Family will serve as pallbearers. In lieu of flowers, donations may be made to any veterans or hospice organization of your choice. Uncle Jimmy was one of a kind. He will be greatly missed. Love to all the family.